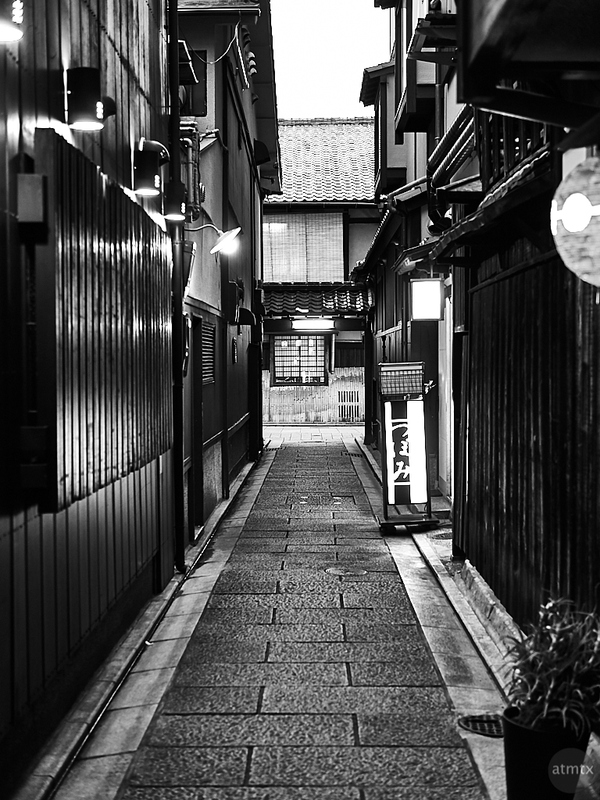 Here’s a bit more of the Gion neighborhood, which I’ve directly and indirectly showcased, for the last severals posts. In additional to wonderful building details, I believe it’s the scale of the place that matters so much. If the buildings are too tall, or the streets too wide, the sense of intimacy, which gives us humans comfort, is lost. The buildings, streets and surrounding plazas should be viewed as outdoor rooms. They should have a flow to them but also a sense of enclosure. It’s hard to imagine modern places with such a narrow street. I’m sure many places, especially in the U.S., have building codes that prevent this type of construction. I used the Olympus PEN-F and the Panasonic Leica 25mm f1.4 to create the photo, which is not what I typical used to shoot cityscapes. In the past, it was all about the super wide-angle with the HDR cherry on top. How things have changed. Boston still has alleys that are actual post office addresses. I think you only see this in the earliest cities in North American. New York maybe. Cambridge, Boston. Philadelphia. Of course you couldn’t build like that today, but some of the homes on these alleys are very expensive, so no one is knocking them down. That is probably often true in old European and Asian cities. I like the concept of alleys. Keep the cars OUT and the people nearby. I can believe Boston is a haven for small paths in the historic core. New York City, not too much. But Philadelphia still has some charming cobblestone streets, brick buildings and alleyways.